Why is Solar Dynamics Ltd Still #1? A Solar Dynamics Limited Hot Water System is built to last with magnesium anodes, 863.5 Btu per sq ft of collector, the lowest heat loss at 3.2 Btu per hour, full fusion bonded/mechanical bond and 100 % polyurethane tank insulation. We offer temperature and performance guarantees. It’s the most energy efficient device, “eliminating” the need for electricity or gas for water heating, saving up to 100%. In the UNEP report, hotels report a satisfaction of 95% to 100 % in the test cases of Bay Gardens Hotel in Saint Lucia and Turtle Beach Resort in Barbados. Good insulation of a solar storage tank is critical to a solar hot water system as it keeps the heated water hot. Solar Dynamics is the first to use polyurethane insulation for heat retention. When insulation is done right, the color and cell structure are consistent. 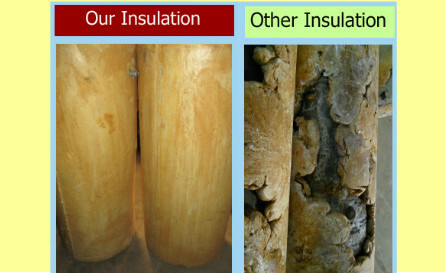 When the chemicals are not mixed correctly, that results in different colors of the insulation. 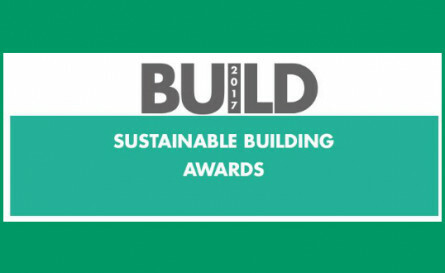 For the second year in a row, Solar Dynamics Limited is proud to announce that it has been awarded the 2017 BUILD News Sustainable Building Awards, for Best for Solar Water Heating – Caribbean. We appreciate the hard work of our staff and distributors in Barbados, St Lucia and across the Caribbean. Those efforts have helped to make this a reality again this year. 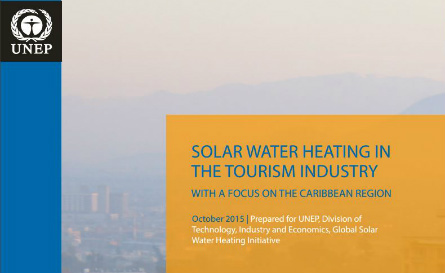 Barbados is #1 in the world in the BTU Solar Water Heater penetration per 1,000 population! The International Energy Agency (IEA) has announced that Barbados is the number one country in the world in British Thermal Unit per thousand penetration 2015. 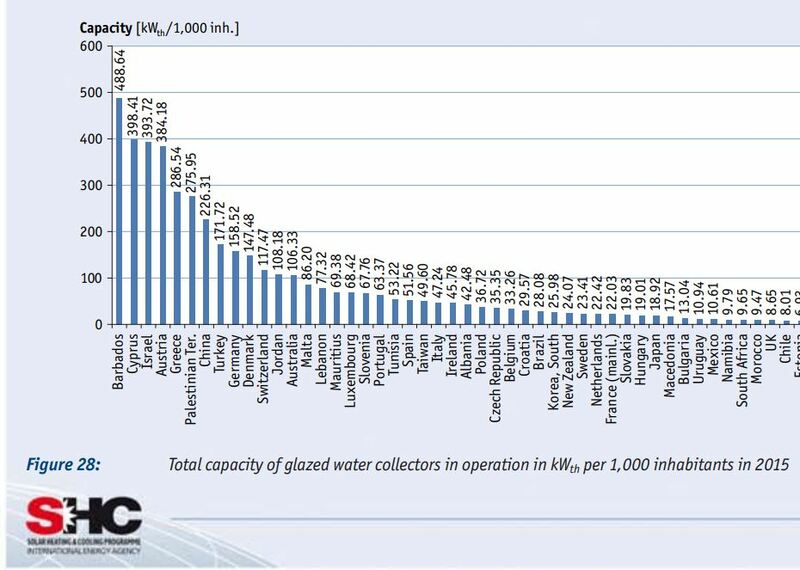 Source: http://www.iea-shc.org/data/sites/1/publications/Solar-Heat-Worldwide-2017.pdf – Bar chart- Pg 37- Fig 28. Solar Dynamics is pleased to be at the forefront of the developments of Solar technology which has led Barbados to Global prominence as #1 in the World in Btu (temperature) penetration per 1,000 population and we thank all who have helped to make this possible – Governments, bankers, customers, workers, competitors and collaborators. Read the IEA publication. Strongest: NEW Collector cabinetry made of extruded Aluminium. Safest: Installed with NEW “Storm Secure” Mounting Hardware for greatest safety. Best Guarantee: World’s First Temperature/ Performance Guarantee 360/135F+-5F. 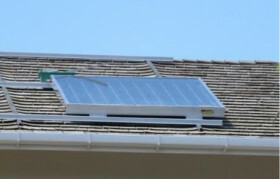 SOLAR DYNAMICS is the Best-In-Class solar hot water system that has led Barbados becoming the first in the World in thermal performance Btu per 1,000 population. Be Storm Secure with the all new Storm Secure System! 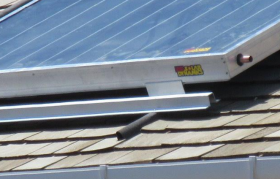 Have you been concerned about the safety of your solar water heater in storm conditions? Solar Dynamics Limited has the solution. We’ve made revolutionary changes to our hot water systems to address these concerns. The collector is made of extruded aluminium; unlike the sheet metal of previous systems. 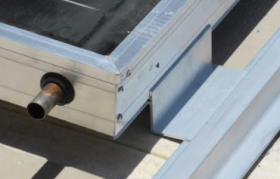 The top and bottom extrusions carry a base channel, in which a heavy secure aluminium fixture in located to anchor the collector to your roof. This anchor slides into place, and is secured with screws. The collector’s base is secured to roofing or rafters, to resist uplift winds. It’s designed to be attached to all roofing materials. The “Storm Secure” Solar Dynamics Hot Water System is the answer to your concerns of safety of solar hot water systems in hurricane conditions. You can upgrade the safety of your Solar Water Heater with “Storm Secure”. Just contact us: 425-1540. 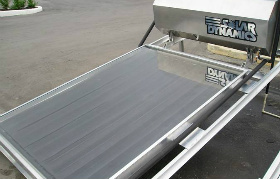 A Solar Dynamics Hot Water System is built to last, with the most current technologies: safety tempered glass, fusion bonded finned heat absorber plates; magnesium anodes which protect the inner lining of the tank, polyurethane insulation to retain the heated temperature of the water; temperature that is the first ever guaranteed in the industry. 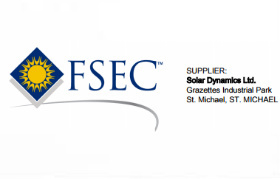 The Florida Solar Energy Centre (FSEC Test #00054 ), tested the Single Panel Solar Dynamics Hot Water System and found it produced 863.5 BTU per sq. ft. and had the lowest heat loss of 3.2 BTU per hr ˚F. 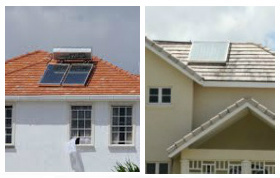 Our systems are the most efficient flat plate solar collectors in the Caribbean. 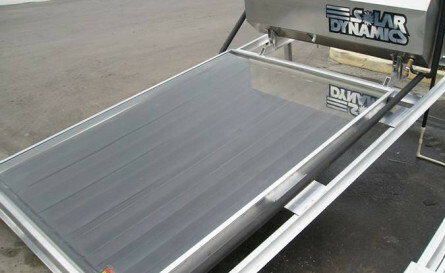 Solar Dynamics Limited offers two types of installations – natural circulation, where the storage tank is located slightly above the solar collector panel; and the pumped or split circulation, where the storage tank is in a location other than the roof. Start saving money and energy. Order your hot water system today! Copyright © 2019 Solar Dynamics Limited. All rights reserved.